OPPO A73 is in the pipeline and soon it will be available all across Pakistan. 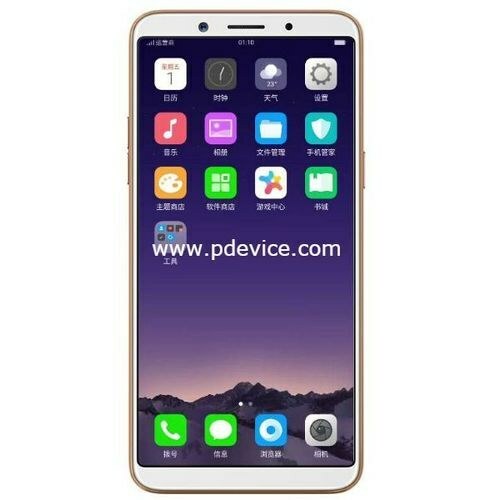 According to our informant, this phone has got a massive 6-inch display which means that OPPO’s A73 is a phablet but you know what this phone is coming with the very special thing and that thing is its bezel-less display. In next few days, this brand is going to launch F5 and it seems that A73 is coming with the same kind of Full Vision display that we will see on the front side of that smartphone. The display is not the only thing which is different from OPPO A73’s predecessor but the processor is also upgraded. Octa-core processor of the handset got 2.5 GHz clock speed which is going to keep the heavy applications running without a slight problem. OPPO reveal A73 at such a time when the launch of their most desired device is imminent and now they are trying to keep their user engaged by giving something new which is worth to wait. A73 is the name of that unique product which is going to launch after the unveiling of their flagship device.